Third times a charm…the evolution of a girl’s room | Your home, only better. Once upon a time there was a little girl who loved pink. 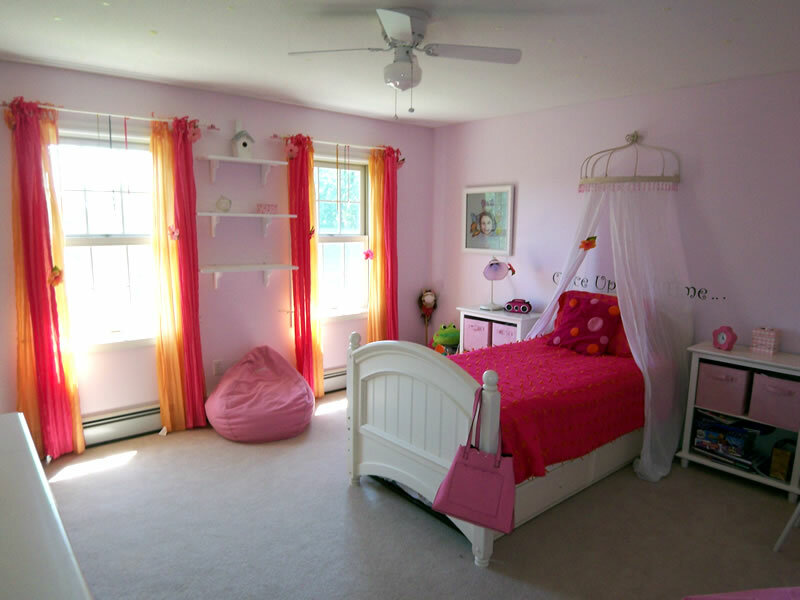 She really enjoyed her pixie dust pink room with hot pink and tangerine accents. The playful curtains were adorned with prisms hanging from rainbow ribbons, creating dancing rainbows across her room every morning. Then one day she reached 2nd grade and grew tired of pink. Fresh from a beach vacation, she asked for a beach-styled room. It was a fun room! 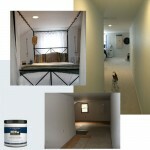 A coat of “white sand” paint and colorful coastal accents brought this room to life! But once winter came, she felt off balance in a summer room – she loves snow and all things winter. One by one she began hiding beach accessories in her closet. She also wanted to swap her twin bed with a full-sized bed in another room. Because the larger bed needed a new comforter and duvet, another redesign opportunity presented itself. Which brings us to a more grown up, less “theme” styled French modern room, which hopefully will grow with her (at least until 4th grade!). Bed: To allow for future redesigns, we opted for a (machine washable) alternative down comforter with an IKEA duvet. Because there was no headboard for the bed, we found beautiful black acrylic fleur designs at HomeGoods. Total spent on the bed: $80. Windows: We added inexpensive blue panels to go with the existing white panels as a pop of color. To blend them with the room, we added black ring clips and black and white finials. Total spent on windows: $100. Furniture: To continue with the pop of color, we recovered a bench and desk chair in bright blue fabric. Total spent: $5. Accessories: To finish the look, we added a few accessories, such as new lamps, a fabric covered bulletin board and a pretty black chandelier nightlight. Total spent: $40. So sweet little girl…enjoy your French Modern bedroom, because it’s not going to change for awhile now! « Can you negotiate a good design? We live in Florida and my DD has a beach room. The walls are blue, the bed is white. We have a few prints with old disney sand pails framed. The big candle holder full of sand and sea shells. And of course the PBK bedding she just had to have. I hope she sticks with this theme for a few years. My youngest needs her room done. Warning Feels like Chaos – YES, I bet her opinions will bloom this spring. Brace yourself! My 3 yr old is petitioning for a pink room. Mamati – thanks for stopping by! You can also sign up at http://www.homedigz.com and look for ideas in a room by room format. Such fun! Found your blog on UBP and wanted to say how glad that i did. I love interior decorating although dont know how to actually decorate however, i found your site very inspiring. I love all 3 of the room versions! 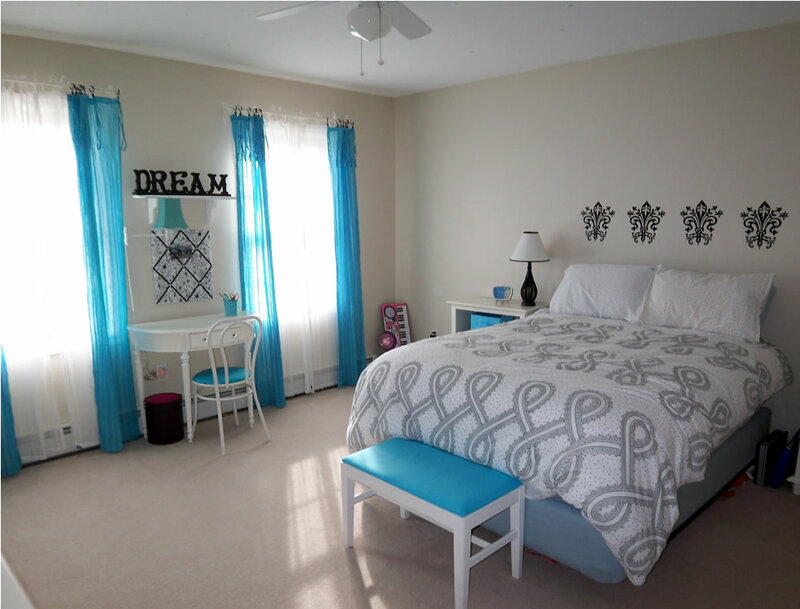 How fun for you and your daughter to do these room makeovers together! My daughter is just 3 so she hasn’t yet had big opinions on her room, although come to think of it just today she collected a handful of dead leaves from the ground and wanted to use them to “decorate” her room — is this how it begins??? It Feels Like Chaos’s last blog post..We Survived!!! I love all three! Great ideas; thanks for sharing. Candice – thx for stopping by…now get some sleep! I wish I could change a room like that. You are really good at this. Hi, there. Stopping over while blog hopping. I’m enjoying the UBP party. It’s in the wee hours of the morning but I have a migraine so can’t sleep. It’s nice to meet you and your blog. My blog list keeps growing. Blogs are my favorite “me” time. I have a toddler learing blog at http://www.superfunmama.blogspot.com. So nice to meet you! Beautiful!! I love home decorating too. I did have a blog about it, but it was terribly neglected do to my other blog. I’m meeting soooo many wonderful peeps this weekend! Recovering from a Brownies sleepover today…will visit more of your blogs tomorrow and return the favor! Hiya from UBP! 😉 The room looks great! You certainly have a knack for decorating! Love your blog! Tonya’s last blog post..Bloggy Party Time! 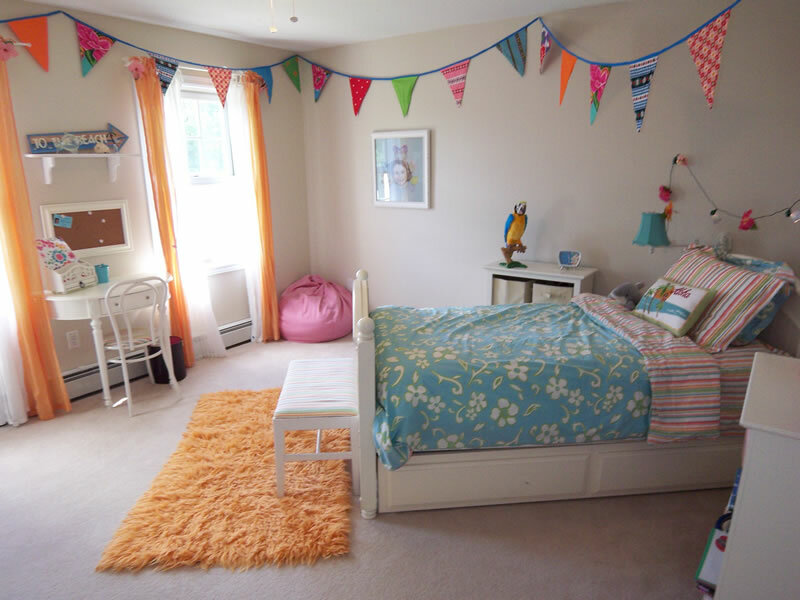 Wow, how I would have loved to recreate my room as a child. I asked my mom all of the time, but was never allowed to! 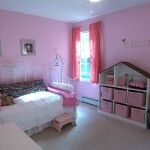 I think it is wonderful to make simple changes to inspire this little girl in her own room. I absolutely love the last version of the room. I am about to redo my own room and your ideas were fantastic. And I wasn’t even here looking for ideas…I was here for the PARTY!!! Double win for me. MrsMusing’s last blog post..Dog Fancy Anyone? Oh, those rooms are gorgeous. I want to go to there. iMommy’s last blog post..Get Your Party On! Ultimate Blog Party 2009 is Here! Love the third. But, for a littler one, the first is best. Amydeanne’s last blog post..Party time people! Shwawna – I’ll be sure to pop over! Congrats on “project #2” – I’m sure you’ve been told, but it changes EVERYTHING! Nice to meet you. I’m popping over from the blog party. I have one 3 year old daughter and another one the way! I love all three rooms. I have two blogs, but I’m participating with the party at my book blog — Teen Lit Review. I’d love it if you stopped by. All of the looks were great. Isn’t it fun being able to totally change something without spending a fortune? I love playing around like that. Don’t be surprised if she wants to go back to the beach theme come summer! Carole’s last blog post..We’re having a blog party! Hi Kristin – I liked the beach one a lot too! If she hadn’t been stashing accessories into her closet, we would have stayed with it. Fear not…I’ll reuse those fun accents elsewhere! I have to say that I adore the beach themed room. I love the bedspread in that room. The final room is awesome too, but I just really like that beach one. I hope you get to keep this re-re-decorated room at for at least a year! Lovely, just lovely! So sophisticated. Hope you are having fun with UBP! jubilee’s last blog post..Ultimate Blog Partiers: Stop Here! I’m visiting from the UBP 09! I love this room, very fun. Its amazing you kept it so inexpensive. I’ll definately be back for more tips. Thank you! Nifty Nique’s last blog post..Welcome to Nifty Nique and the Ultimate Blog Party 2009!! You are quite the busy decorator. Great job on all the rooms! Thanks for sharing…Luckily you don’t have six kids demanding room changes so often…. Cheryl – I’d love to do Riley’s room. Might she like a Miley room? I LOVE IT!!! You need to come and “re-decorate” Riley’s room!!! How fun for her to have a room that has changed over the years with her! How fun – rearranging furniture and changing decor have always been fun for me too. I think your little girl is so lucky that you let her do this so often! I love all the looks – and really like those wall decals in the last photo. I have some wall decals up in my daughter’s room too and I just love them! the BLAH BLAH BLAHger’s last blog post..Happy Birthday, Mom! I love you to pieces! I would have wanted that room when I was in college! It’s awesome. What a lucky girl to have a family that will change her room when she feels she’s outgrown it. Nice job. Kim @ Forever Wherever’s last blog post..Hooked On Islands – Any Island, Anywhere! How fun! My daughter is still in stage one and I need that twin bed! LOL! What a lucky girl! All of the rooms are beautiful. It’s fun to change things up though. Holly’s last blog post..Spring has Sprung! DesignTies’s last blog post..Hooked on… copper!